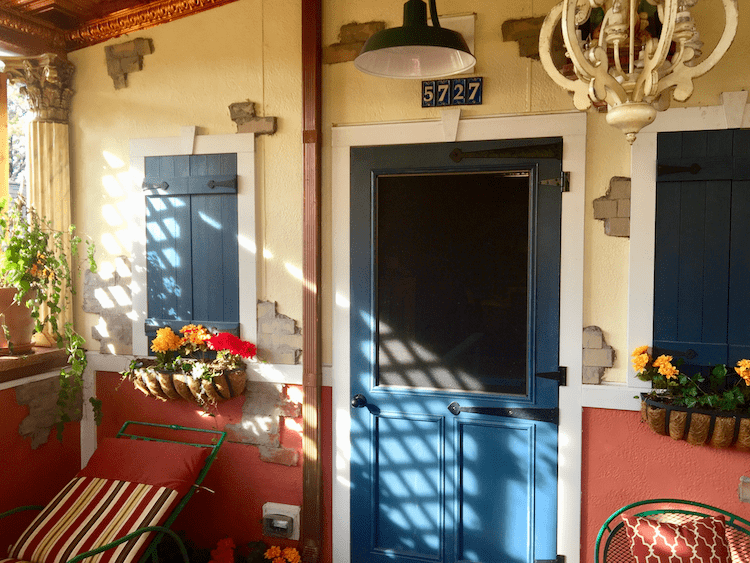 I tried to make my three season porch look like Italy and your door, the best ever, plays a pivotal role in that overall theme... The thing I like about this all wood, nicely weighted door, is that I use a door spring with it and so the sound of it opening, and hearing the spring stretch, and when it closes, and hearing that 'crack' of the door hitting the frame, is so very satisfying---reminding me as it does of my long gone youth when such doors were common place and such sounds were part of growing up. I finally moved into my new home and I love it! I spend a great deal of time on my screen porch... I am very happy with the quality and design. Here's a photo of our wonderful screen door. Happy to send along a picture. The door looks great & fits perfectly. This is Dave with D&D Custom cleaning services, I am the one that recommended to Lisa and installed the door from your company. The door is great, I made our little adjusts because of the traffic through our kitchen here at the country club. 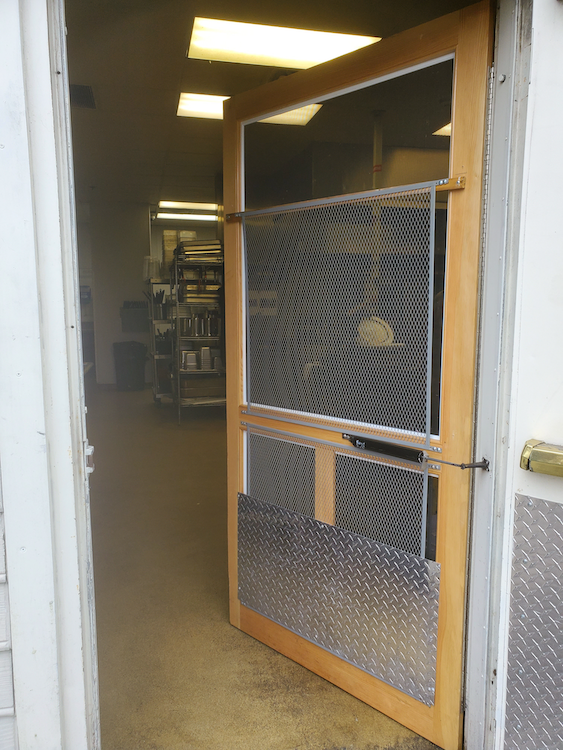 We put a metal kick plate on inside and outside to protect the screening. We could not be happier and we will continue to use your company going forward and recommend you to our contractors and suppliers along with our customers. Thank you, Dave with D&D Custom cleaning and Bucks Club. Thanks again! 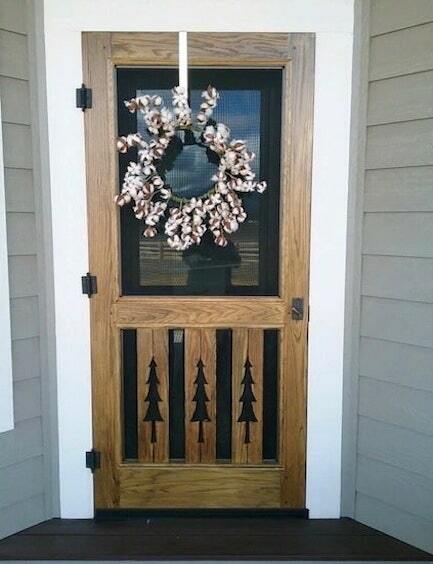 Love the door! 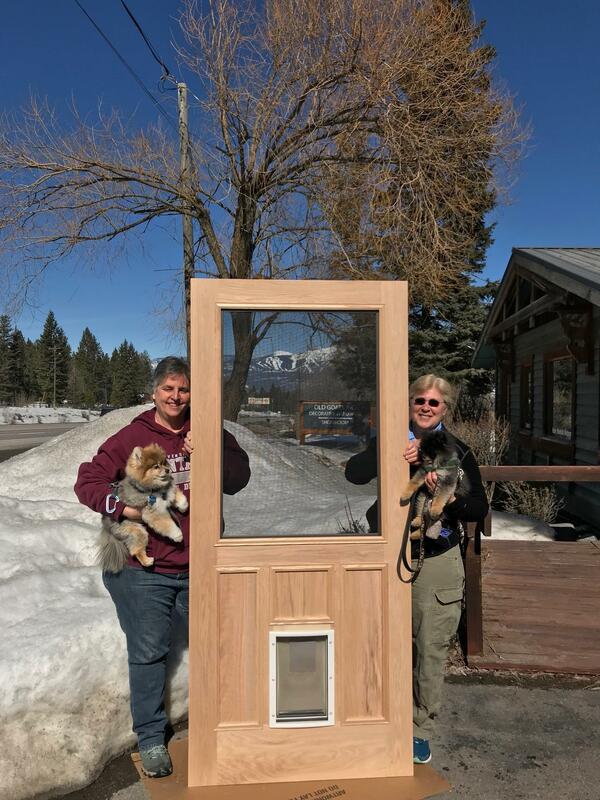 This is our 5th door from Old Goats [Montana Screen Doors] since 2002 on 3 different homes. Other 4 still holding well in Yuma, AZ where it hits 115 degrees regularly. This one is in the mountains in Flagstaff where we get over 100 inches of snow in winter and see 20 below at times. 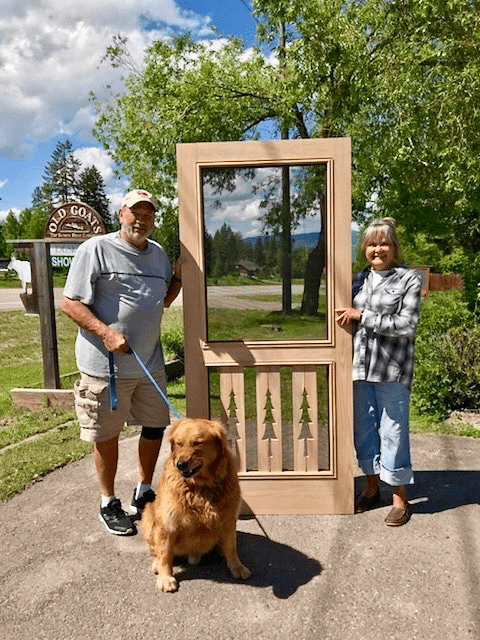 Like most true quality products, with Old Goats [Montana Screen Doors] You get what you pay for. Thank you so much and thank the carpenter please. I'll follow all recommendations and have her hung up ASAP. I'll always enjoy seeing her and I know she'll get lots of compliments. Quality is important to me and your product is exactly that. 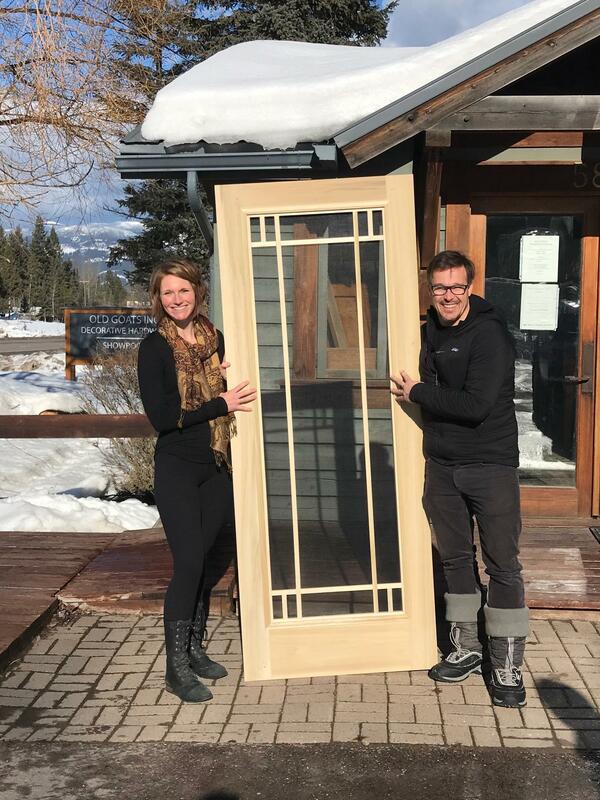 We got our doors on schedule and we LOVE them! !....Great workmanship……Just wanted to say thanks for a great product made here in the USA.!! Hello there, I am just writing to tell you that after 9 years my screen door is still absolutely beautiful. I was on your site because I couldn't remember what I used for a finish and it is time to sand or steel wool a few spots and refinish them on the door. I found the information easily and now I am ready to go to work. Thanks again for the beautiful door. It has been on year-round in the Wisconsin weather and has no sign of being replaced for years to come. The door is beautiful and am very happy with it! Thank you for taking care of me and providing a top-quality product! Please let your carpenter know his work is excellent, well liked and much appreciated! We couldn't be happier with the door! 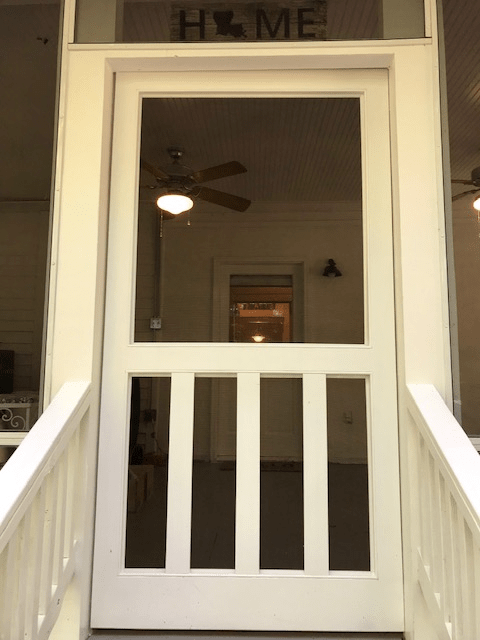 My husband (who was a contractor and is now a building inspector) is beyond delighted with the craftsmanship, quality and even the clever design to integrate the grille that we wanted with the pet door and screen. Thank you so much for your help and the quality product! Thanks! You do great work! I'm very happy and have started to paint it, which is a shame to cover the nice wood. It smells great. You can't get this kind of quality at Home Cheapo. I'm very happy with my purchase and I wanted to pass that on. Usually companies just get complaints as responses so, here ya go. Thank you very much. 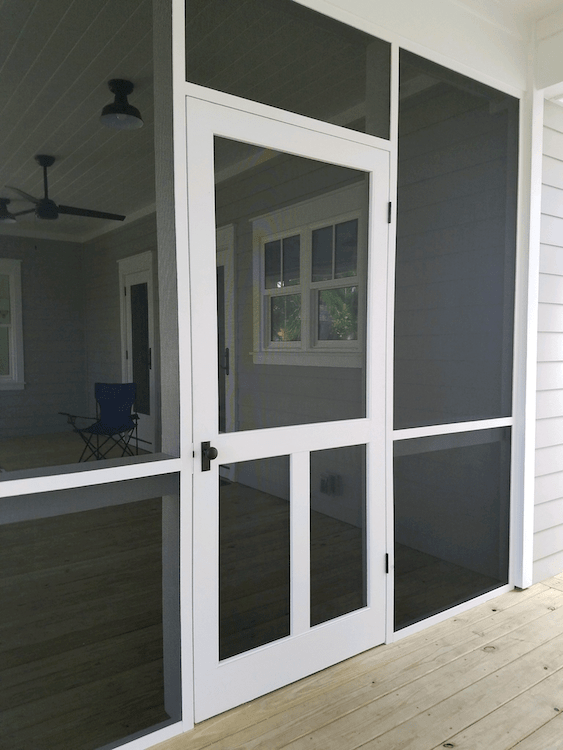 We have installed our three custom cedar screen doors on our deck and are very pleased. We just want you to know that they are beautiful and your service was exactly as you predicted. Thank you. We have told all admirers where we got them.